For all music enthusiasts looking for the ultimate music experience at affordable prices, MEElectronics hits the just the right chords. 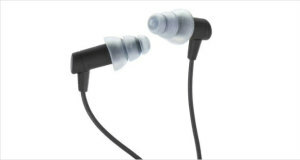 Aimed to provide sound clarity coupled with secure and snug fit, MEElectronics looks out for its customer satisfaction. Affordability and product performance is balanced perfectly to give the one of the best in-ear headphones in the market; the audio products from MEElectronics are here to stay. Sports buff or active audiophiles, the search for the comprehensive headphone package ends at MEElectronics Sport M6 Headphones.From strenuous workout sessions to casual hearing, the M6 range is ideal for anyone with an ear for music. The MEElectronics Sport M6 Headphones are designed with memory-wire technology and six sets of eartips (single flanged and triple flanged in different sizes) that provide maximum flexibility in fitting. The anti-frustration cables minimise internal noise in the wire during running, jamming or even sleeping. 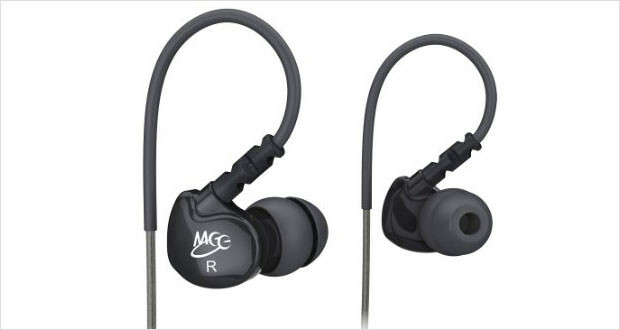 The in-ear design allows passive noise reduction, making the headphones the midrange equivalent of one of the best noise-cancelling headphones in the market. However, the over-the-ear memory-wire system might prove to be unsatisfactory for some users. For them, memory foams might be a plausible additive option. Sound quality is good, with superior bass and slightly harsh highs. It is light-weight and delivers better sound than most of its bulkier counterparts. Wide range of frequency response; from 20-20 kHz. MEElectronics Sport M6 Headphonesare made of clear plastic with 3.5mm gold-plated L plugs. The clear housing gives it an exclusive look, unparalleled by any other product in the market. The headphones come in seven different sports-colours to cater to different personalities. The 6 sets of eartips allow the user to find their perfect fit for maximum noise cancellation. The Light-weight, in-ear design with the memory-wires, ensures that the headphones stay in place even during the most rigorous training sessions. Dimensions7.7 x 3.8 x 1.1"
The tangle-free wires, solid, clear plastic body, L plug all contribute towards a robust yet chic build meant for rough use. The headphones with their memory wire technology fit comfortably and securely, with the range of eartips allowing the users to go for the ones that fit them best. The treble is pronounced, though some might find the highs to be shrill at places. Mid range is somewhat flat and recessed, and lacks a bit of warmth. The bass is enhanced, punchy and very clear without any muddiness. With the correct pair of eartips, noise isolation is good enough to block out almost all ambient noise. Caution is advised if outdoors when wearing the headphones, since, voices, honking, etc. will be drowned out. There is significant clarity over the bass and midrange, with the highs being a bit sharp. Apt for bass heads and detail listeners. Overall performance is satisfactory. The memory wire tends to become slippery and fall out. The MEElectronics Sport M6 Headphones are comfortable, secure, hassle-free and affordable. 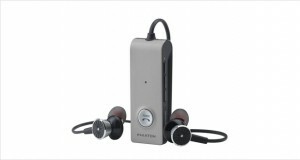 The music experience is satisfactory with a full frequency range and clear sound. 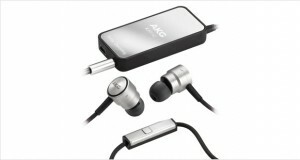 The accessories are quality and the headphones are the absolute pick for active use.